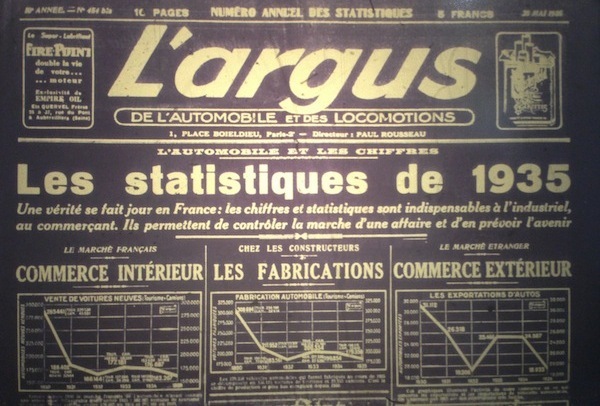 1935 is the first year French newspaper L’Argus covers with detailed car sales statistics. It would keep on doing so every single year (except during World War II) up to this day. Unfortunately 1935 is not a great year for new car sales in France, with private cars down 7% to 141,312 registrations and trucks down an even tougher 12% to 21,065 units, bringing the total market to 162,377 sales, down 8% on 1935. Imports are still very limited in France at the time: only 8% of new private cars sold in the country in 1934 are foreign, and 10% of trucks. The cover of the first ‘stats special’ issue from L’Argus, dated 25 May 1936. A collector! 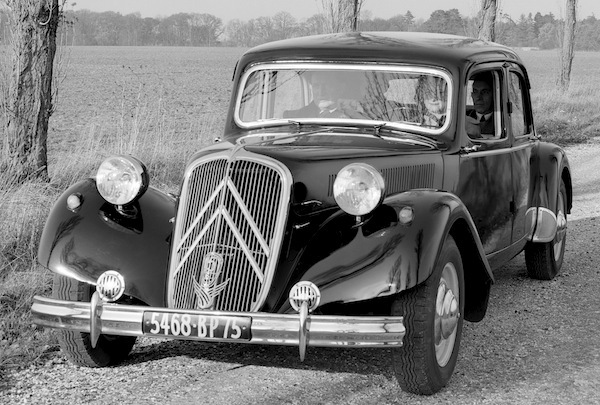 There is no brands not models data available but Citroen should be leading the sales charts with is very successful Traction Avant launched the year before in 1934, and sold 20,000 units between its presentation in April and the Paris Auto Show in October that year, so it should find itself around 40,000 units over the Full Year 1935, a huge 28% of the private car market and an almost assured pole position. France 1-11 June 2014: Peugeot 308 in pole position!